This year's Annual OscarMoore Screenwriting Prize of £10,000 has been won by Marcus Shepherd for histaut, largely three-character thriller A Killing In The Woods. The story concerns 10-yearold Chris, who is staying with his Aunt, Uncle and cousin Becky, at theirholiday home in the woods. All seems well until Chris witnesses his unclemurder his wife, having discovered she is having an affair. Bob does not knowhe has witnessed - and filmed - the killing. What follows is a battle of witsbetween the two, with Bob trying to dispose of his wife's body and Chris desperateto get help and protect Becky from finding out what has happened untilits safe to do so. Launched in 1997, The OscarMoore Foundation is supported by the British film industry and administered byfilm trade bible Screen International. 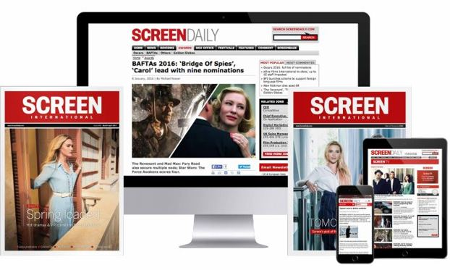 Set up in memory of Screen's lateeditor-in-chief and Guardian columnist who died of an AIDS-related illness in 1996, its aim is to recognise and reward new and excitingEuropean screenwriting talent by awarding annually the Oscar MooreScreenwriting Prize. Oscar Moore Foundationtrustee Christopher Fowler, co-owner and director of Soho film and designcompany The Creative Partnership, said of Shepherd's winning script "I feltthat the writer avoided English cliches and stylistic tricksiness, optinginstead for a powerful, simple story which he told with clarity and terrifictension." Chairman Ralf Ludemann said"The Oscar Moore Screenwriting Prize is unique in that it exists todiscover and nurture fresh screenwriting talent Europe-wide. Its board oftrustees boasts some of Britain's most successful producing, screenwriting anddirecting talent, making this Award one of the most prestigious in its field. "Inaddition to the £10,000 development award (co-funded by The UK Film Council),the winner also receives a place on a residential writers workshop run byArista and a professional reading of their script by The Script Factory. It is fast becoming Europe's highest profile, andmost important screenwriting Award". The Oscar Moore Foundationwill host the prize-giving and annual fund-raising film quiz at Cafe Royal inLondon's Leicester Square on the evening of Thursday 24th February 2005.